True confession. Although I regularly read business books – everything from building a personal brand to using social media to having successful virtual teams – I don’t really like business books. For me, most are too theoretical and tend to paint an overly rosy picture of the benefits the reader will get if they follow the advice in the book. A few years ago I read Who Moved My Cheese? According to the book’s website I am one of 24 million people who bought this book. You would think with that many people reading the book it would have a dramatic impact on my thinking about business. Here’s what I remember about it. Not much. Oh, I remember it was a quick,easy read. I remember thinking it was clever. But, I didn’t note or try to implement anything the book recommended. The net net: my world view of business did not change after reading the book. And, my guess is, most organizations didn’t make dramatic changes because of the book either. Here’s how it goes: From my own experience and discussing this with others, basically, you get paid the first $250K annually for your brains and your results. The second $250K, you get paid for frustrating, time-wasting, disheartening big company slowness and bureaucracy, needing to defend your honor and your budget constantly, and frequent changes of direction causing embarrassment and rework-basically to deal with your allocation of corporate crap. Anything north of half a million/year is the hazard pay for the company acting like it owns you, and letting you know your time is not your own, and finding seemingly laser-targeted ways to torture you. If you are not a morning person, there will be 6am staff meetings every day; if you are not a night person, you will get responsibility for a team on the other side of the globe and have regular meetings at 10pm; if you hate international travel, you will get a project to live in Asia for a year, etc. There will be people in positions of power who will grate against your values in painful ways, and you’ll be stuck with them. Expect this and be prepared to take it in stride. Today Patty has her own consulting firm the Azzarello Group. Before she became a business consultant she was very successful in shattering glass ceilings and leaping up the corporate ladder. Patty Azzarello became the youngest general manager at HP at the age of 33. She ran a $1B software business at the age of 35 and became a CEO for the first time at the age of 39 (without turning into a self-centered, miserable jerk). Recently, Patty and I spoke by phone about her book and her viewpoint on what it really takes to be successful in a corporate environment. For one thing, she is not a fan of the current trend in performance reviews where employers focus on employees weaknesses and encourage them to take on projects to strengthen those weaknesses. You have the strengths and development areas (on performance reviews) and you are forced to list a bunch of weaknesses because the form says so. I find it is more of a habit than it is a very strong philosophy. As a manager, I would identify the person’s strengths in development areas. I would pick on several strengths and focus on ways for them to get even better at that. A weakness is different from a behavior problem… If you have someone who has a range of required strengths and people are communication related and others are analytical related..trying to tell them to be more detailed and analytic is a waste everyone’s time. All of the executives I interviewed about this topic all reached a point in the career where they decided to stop fighting this windmill of spending energy of doing things they are not good at. They say to their team, “I’m going to focus on the stuff I am good at and you’re going to focus on all the other stuff”. Azzarello also has some advice for people who burn the midnight oil thinking their hard work will be rewarded. Azzarello says no one cares how hard you work. Ouch. If you are known as someone for getting a lot of work done and you are known personally for the amount of through- put and quality of the deliver, people know you and love you for that. The problem with that is that the reward for being a workhorse is more work, and you get yourself stuck. It’s a significant trap for a lot of people. Wake up and realize the harsh reality: no one cares how hard you work. The book is constructed around three key themes: Do Better, Look Better, and Connect Better. 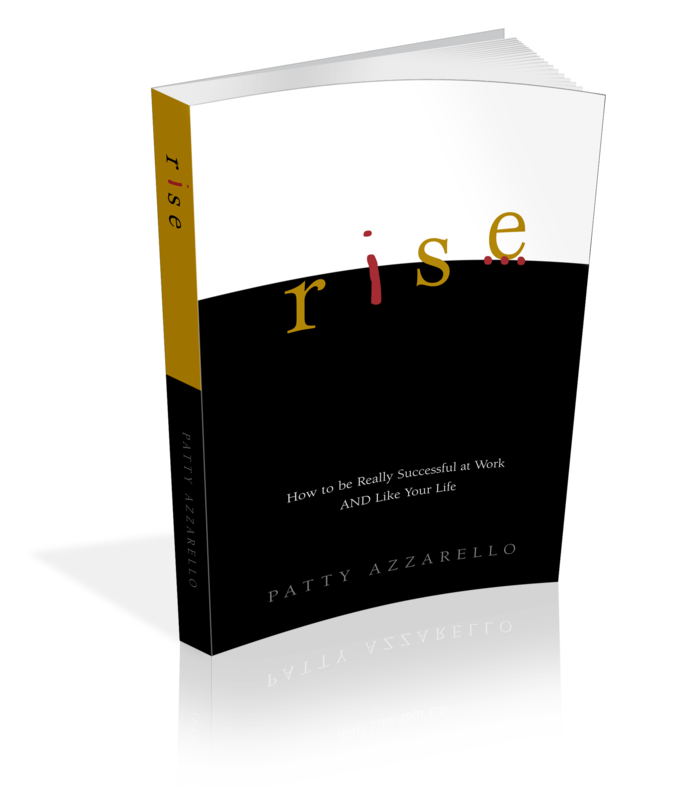 Within each section of the book, Azzarello offers key insights and practical ideas and suggestions that you can start doing immediately to move your career in the direction you want. What I like about the book is it’s realism. Azzarello doesn’t pull any punches. Corporate America is not for the faint of heart. It’s brutal, and she says as much in the book. Although Azzarello enjoyed huge success in corporate America, in the end, she decided to follow a different American dream – owning her own business.